Martin Oberhäuser is an amazing designer that I’m sure you’ve all seen his work at one point or another. His work is very popular on both Behance and Dribbble networks and it inspires us all. I have interviewed Martin to get inside his head, to so what he thinks about design and what his philosophies are. On top of that I got into his head to see how he got to be a successful, respected and well-know designer. I already knew I wanted to become a designer back in school and my parents always encouraged me to work in a creative job, so I began to study at the University of Applied Science in Würzburg, Germany. From there, my way into the design business was pretty straightforward. After internships in Frankfurt and San Francisco I started to work for Mutabor in Hamburg. In 2011, I decided to quite my job to start my own design studio. 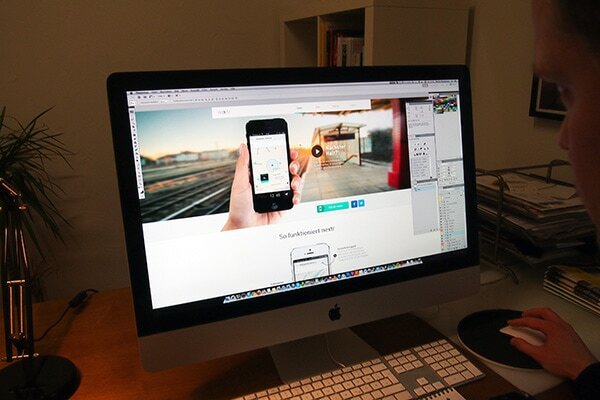 So far, what are the biggest lessons learned as a designer? My biggest lesson is that design can have a major impact on almost everything that surrounds us. Design is not about making something look good or spectacular it’s about finding the most efficient way to communicate information. Also, what has been the biggest challenge? So far my biggest challenge was to start my own design studio. There are so many things you don’t know about the business part of the job and you have to learn that on the fly. Fortunately, most of the non-design related parts are not that hard to learn. You just have to force yourself to dive into these parts as well and to take them seriously. What has been your biggest mistake as a designer? Did you have a mentor, how did he influence you? What was the best advice/guideline he gave you? I think I have to name my professors during my studies Carl Frech and Erich Schöls. They taught me to think outside the box without losing a structured workflow. They also taught me if you want to be a successful designer you have to be an author and create your own stories using your creative talent. Another designer who had a great impact on my work is Robert Murdoch. He was the head of design during my time at Method and he introduced me to the digital design work and showed me that interface design is the next logical step coming from classical information design. In your opinion, what is the best way to establish yourself a designer? It’s about finding your strengths and to concentrate on them. You can’t just go out there and say you’re an all around full service graphic designer; you have to specialize your skills and focus on specific design areas. You have to find a niche. What do you do better than others and why should I hire you instead of any other designer? If you have good answers to these questions, you’re on your way. What does design mean to you? What keeps you motivated to keep working? Of course design is more than a job to me. It’s passion. I just love the almost endless possibilities of design work. I think that design is a tool to simplify our live and make it more efficient by finding creative solutions for any kind of problem. Design is needed almost everywhere if it’s done right and so far I think we are just scratching on the surface of creative possibilities. There are so many areas were design isn’t playing a big role yet but could have a major impact. The idea of all these unsolved design issues ahead of us keeps me motivated. My main inspiration source is Behance and other creative platforms like Pinterest and Dribbble. I love the ability to browse designs from all over the world from all kind of creative folks. Of course there also things in the real world that inspire me. I love to stroll around big cities and soak up the atmosphere and the flow of the city life. Often even bad designs inspire me to find better solutions. What can make or break a design project? It’s very important to understand the needs and goals of a project before you start on any concepts. I think a close collaboration and frequent detailed commutation with the client is essential to get to a great solution. If you jump straight into the visual design without understanding the core of the project you won’t get good results. Of course the whole process isn’t always a straight-line journey and there’s often a back and fourth between conceptual and visual questions, but only if you look at the project in its entirety you’ll come up with successful solutions. What is your opinion of team effort on a project? Team effort is important for many projects, but it depends on the phase of the project. Sometimes I need time for myself to focus on the project without anyone interrupting my thoughts. But ones you have a good feel for the project it’s important to hear the feedback and ideas of others to push the design to the next level. What is your opinion on being social – in communities or social networks – in terms of getting better and growing? I think creative social communities are very important for two reasons. 1. 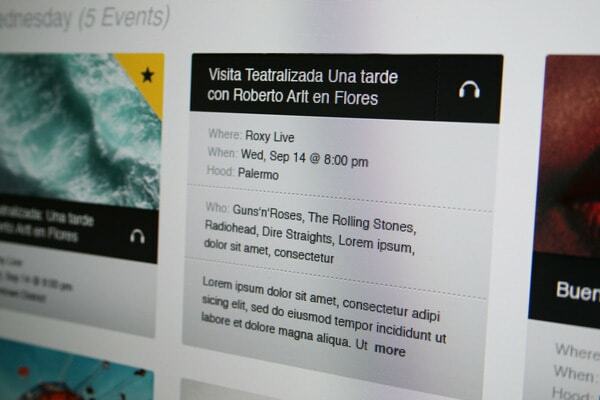 It’s a great and easy way to share your designs and to gather feedback. You can get fast and casual feedback from many creative folks you wouldn’t have the chance to talk to otherwise. 2. For me communities like Behance and Dribbble have become way more important than my own website. You’re able to share your work with creatives and possible clients from all over the world within seconds. I don’t have to worry how to canvas clients anymore, because they see my work in the community and contact me directly. What has been the most interesting project you have worked on? What made it awesome, great, awful and therefore interesting? It’s hard to name the “most interesting” project. I’m currently working on my first iPhone app that’ll come to the app store soon. It’s a very interesting project but also pretty hard because you have to make all decision (design and business related) on your own and there is no client you could blame for any mistakes. 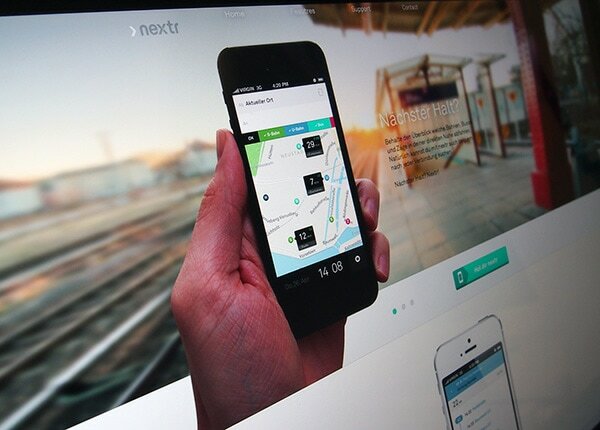 ;) It’s an iPhone app called nextr that guides you through all public transportation systems in Germany. The project is pretty challenging because we are working with real time data and geolocation. The app is focusing on your current location and provides easy access to all public transportation systems nearby. The real challenge is to achieve the right amount of simplification. What information is really relevant for the user and what is our main target audience. I think we did a good job on finding the right solutions, but in the end the user will decide. We are very exited to launch the app soon to find out what the users think. What advice would you give to people starting out as a designer? 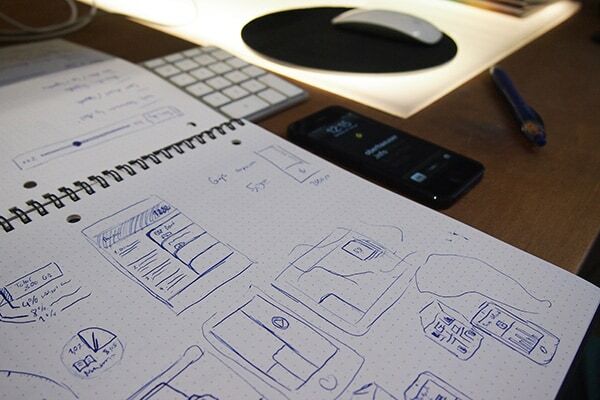 I still think that studying design is the best way to become a designer. The university is the only place where you have full creative freedom to explore design and your own talents. You need this freedom to find yourself as a designer without the pressure of a client or an employer. Oh, I love his work!! So ridiculously inspiring! This is the guy that i am following since i registered to behance. So this is how he looked like. :) Great inspiring personal. Martin, your designs are beautiful, elegant and intuitive. I agree to everything said. Great article with a lot of rich content. Great questions cause mostly that is actually what we want to know. I have one thing though. I can follow Martin 100% that it is important to find yourself a ‘niche’ as he describes it. You have to get out to people saying that you are the best of doing this specific thing, but it must not keep you from exploring other areas of the design environment. You don’t have to be good at one thing only. :) I know martin didn’t say that but I just want to point out that it is important not to hold back when you feel that ‘this is what I am good at’ .. One day you might learn something new that makes you even better or maybe gives you a new speciality. I have been working with material design such as business cards, logos and flyers.. And I started out by telling everybody that I am the one to contact when they need this kind of stuff.. But today I am a front-end developer and Application designer. Two different worlds, but I love what I am doing today even more than before.. Question for Martin: What are the specs of your iMac and what gadgets are “vital” for you ? Thanks! You are a really great designer! Keep up the good work, Martin! I loved his work too which is why I just had to ask him for one. Great Guy!Too much ideas & motivational techniques. @ Philip: I absolutely agree! You don’t have to focus on one thing and stick to it for the rest of your life. You should always be open for new things and keep exploring new ideas and directions! If I may, I have a question that I want your opinion on. I can see on the image that you are using Adobe CS5.X . I am myself a lucky owner of a CS5 Design & Web premium, but I would like to know if you could see an idea in Adobes new Creative Cloud solution? I can see the idea of always staying up to date etc. But from a designers perspective, do you think there is a reason to ride the Creative Cloud when you are already owning a decent CS version? I’d like to know if Martin bothers keeping abreast of frameworks like Twitter Bootstrap or Foundation by Zurb. As a designer, does he let technologies that assist in rapid prototyping affect what he designs or how he works? I am a big fan of Martin and his design for quite a while now. 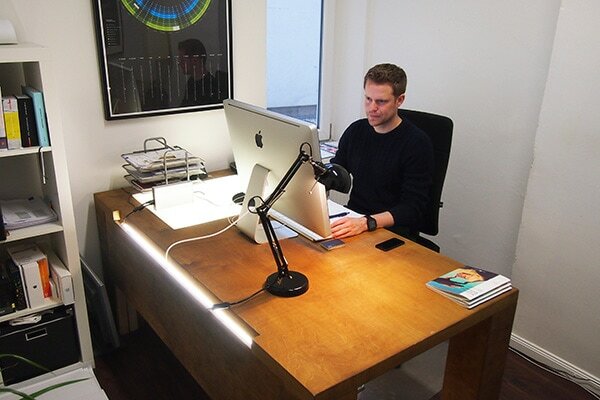 I loved the desk Martin is working at, and wouldn’t mind getting one like this, or having it fabricated. Is there a website or company that sells this desk? If not, is it possible to have the basic specs, so that I can have one like that built?